As much as bitcoin is the cryptocurrency that has the most mainstream attention, there are hundreds upon hundreds of alternative coins which have been created over the years since it was born. While some alternatives like Ethereum and ZCash have become vogue in only the past couple of years though, some cryptocurrencies have been around for much longer, like Litecoin. But what is Litecoin? In a nutshell, it’s a cryptocurrency like many others, built on a similar framework and ideal as bitcoin itself. Created by an ex-Google employee a few years after the first cryptocurrency, it’s now one of the most commonly traded crypto-coins out there, with a market value in the billions. If you’ve heard of Litecoin, you’ve heard of bitcoin and have a reasonable idea of what the whole cryptocurrency scene is all about, but it never hurts to have a quick refresher. Cryptocurrencies are entirely digital currencies. Think of them as the way you operate your online banking. It’s not a ‘real’ or physical currency, but it can have real value. That currency can be transferred between users all over the world with low fees and far faster than most traditional currencies. One key difference between your online bank account and cryptocurrencies is that they are (for the most part) entirely decentralized. That is, they aren’t controlled by any one authority. The ‘ledger,’ or “blockchain,” that records and confirms all transactions as valid is publicly viewable and editable by a large system of users all over the world. In the case of Litecoin, those confirmations are created by a process known as “mining.” That’s a rather complicated topic in its own right, but suffice to say it involves performing complex mathematical calculations with powerful computing hardware. Miners who take part in it also create new Litecoins, which they are rewarded with for performing the service, along with a transaction fee. Those calculations get more and more complicated as time goes on, limiting the influx of new Litecoin. There is also a hard limit of 84 million Litecoin, which means there will come a day where no new tokens are created. Those factors create a scarcity which has helped drive up Litecoin’s value over the years, among other factors. Launched in October 2011, just under three years after the debut of its inspiration, bitcoin, Litecoin was created by former Google employee, Charlie Lee. Described by its creator as the “silver” to bitcoin’s gold, Litecoin is based on the Bitcoin Core client. Litecoin was designed to emulate its predecessor, extolling the same virtues of decentralization but with a few key features that arguably make it a more nimble alternative. While bitcoin blocks can only be processed every ten minutes — part of the reason it has experienced longer confirmation times with the recent influx of users — Litecoin reduced that to a targeted 2.5 minutes per block. While that hasn’t always been possible throughout the cryptocurrency’s history, it is the average that makes transactions faster — and cheaper — to confirm, or validate. The other key difference Lee employed with Litecoin’s creation, was in his choice of hashing algorithm. All cryptocurrency mining employs complicated algorithms. Most are based on the same SHA-256 algorithm that bitcoin uses, but Litecoin leveraged the Scrypt algorithm instead. Easier to compute, lighter on the workload, it’s what enables the faster confirmation of Litecoin transactions. There is an argument to be made that its enabling of faster transactions is a security issue, since less thorough checks of the data are required, but it hasn’t manifested in an obvious problem in the real world as of yet. These two main differences from bitcoin make Litecoin very much its own cryptocurrency and more than just a pretender to the throne. Over the years it has garnered a base of thousands of owners all over the world, who between them trade millions of dollars worth of Litecoin every day. Although cryptocurrencies (and the blockchain technology it’s built upon) could have serious potential for streamlining a variety of industries around the world — especially when you factor in smart contracts — they have two main functions as it stands. The first of those is in transactions. Cryptocurrency, operating in the same manner as traditional, “fiat,” currencies can be used to pay for goods and services. Although cryptocurrencies have a reputation for being used on the darknet for drug transactions and facilitating ransomware attacks, a growing number of legitimate, legal outlets accept Litecoin as legal tender. Whether you’re looking for jewelry, clothing, or even luxury cars, there are many places you can spend Litecoin. Litecoin is also a great cryptocurrency for giving ‘money’ to friends and family. Due to its shorter block time, fast confirmations and fees that rarely go north of a fraction of a dollar, Litecoin can be transferred to anyone quickly and cheaply if you have their wallet address. Like some of the other alternative cryptocurrencies out there, interest in Litecoin as a transactional medium has increased in recent months thanks to bitcoin’s value spike and its escalating transaction fees. Although there is no guarantee that Litecoin won’t bump up against such problems itself should it see a large influx of new owners, for now at least it’s a great medium for transferring wealth quickly online. Although cryptocurrencies like Litecoin were originally intended to conduct transactions online, much like traditional currencies, their value does increase and decrease based on a number of market factors. Cryptocurrencies however, with their lack of governmental backing, tend to fluctuate far more — that’s why bitcoin and others have seen such an interest from mainstream investors in recent months. Litecoin too has been on quite the tear and has made many people very wealthy in a relatively short period of time. Like many other cryptocurrencies in the past year, its value has increased exponentially. At the start of 2017 a single Litecoin was worth just $4. At its peak in December that same year it hit $371, correcting to $178 at the time of writing. That’s an enormous increase that shows that just because bitcoins are worth thousands of dollars, that Litecoin can’t also be a great store of value. Some, like its creator, would argue that Litecoin has a greater potential as a cryptocurrency because of its better transactional abilities. While that might not necessarily affect its value directly, it could make it more popular, which in turn creates its own potential for a value increase over time due to demand. 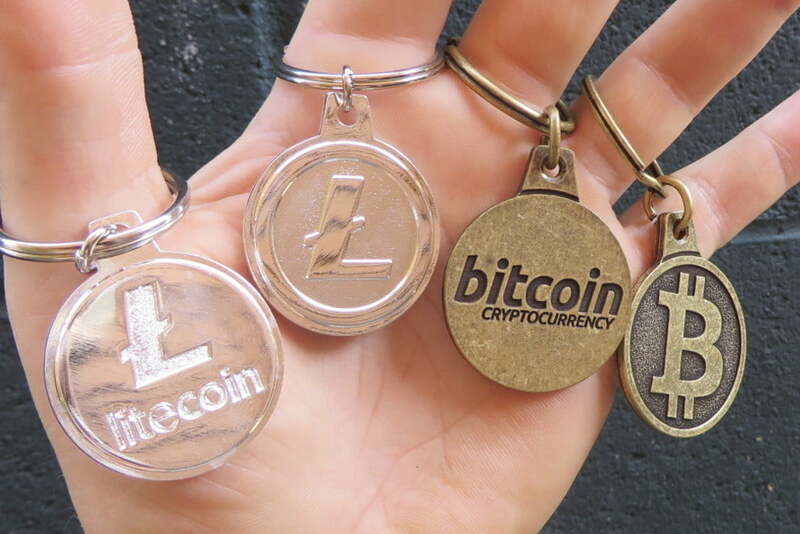 When Litecoin was first created, it was just one of a handful of cryptocurrencies. Today it’s one of many — more than 1,300, with more being created every day. While it has greater name-recognition than most cryptocurrencies, its market cap of near $10 billion is far less than the biggest players and individual coins are worth much less too. That shouldn’t put people off it though. It truly shines as a regular transactional medium, with only bitcoin, Ethereum, and Ripple seeing a greater daily trade volume. There may be leaner coins and some with more advanced features than Litecoin today, but it has firmly cemented itself as one of the most important cryptocurrencies. It might not quite be the silver to bitcoin’s gold anymore, but it is one of the most precious digital metals we have, and it doesn’t seem likely to fall from favor anytime soon.